Step 2: Select kind of number, country and city that you want and click on "Choose". Step 3: Add department or username. Step 4: Select agents for this extra number. 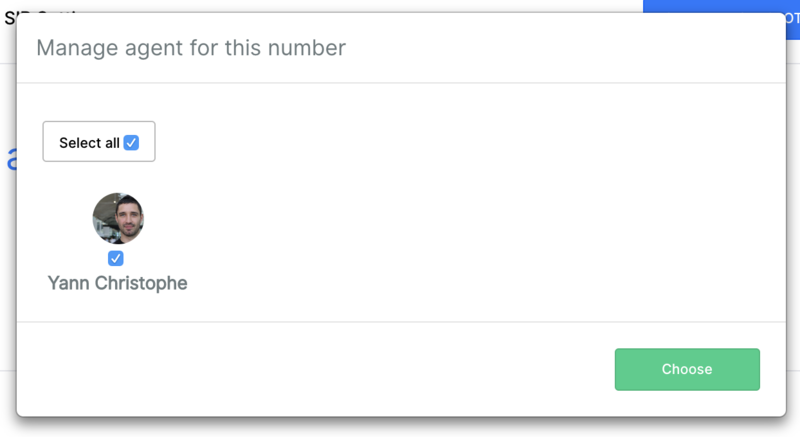 Step 6: You can see your new extra number allocated by Ottspott.